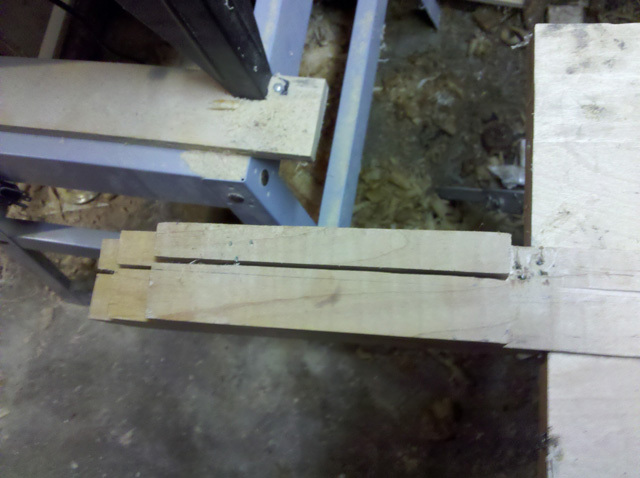 I took the glue up from my last post and cut it on the table saw to a more workable thickness. I know it looks like I used the workmate and a handsaw but I really did do it with the old craftsman tablesaw. 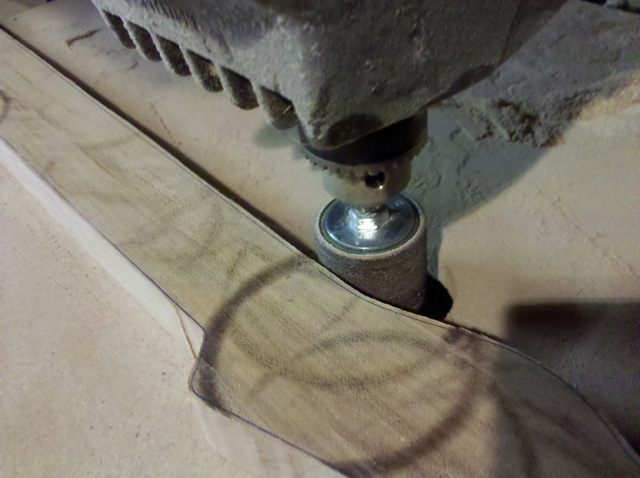 Then I ran it under the sanding disc in the RAS to smooth it up. The disc I have isn’t very even in its pressure and I didn’t keep it moving fast enough so there were some burn marks. 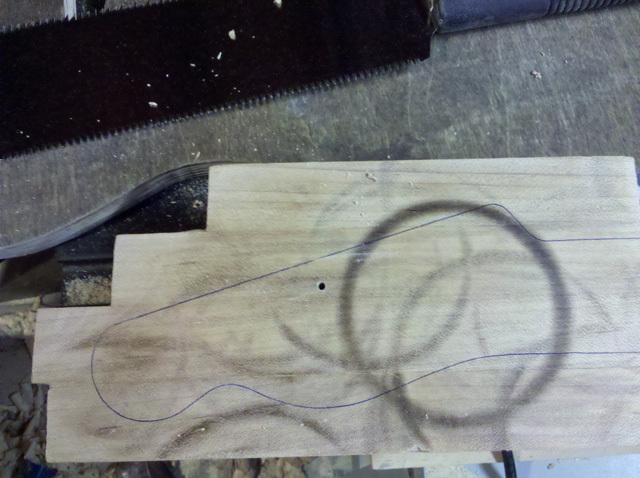 I mounted the neck template and traced the outline. I didn’t get any shots of hacking it out with my jigsaw. Next I threw a small drum sander in the RAS and sanded close to the line so the router wouldn’t have to take off very much. Note to self, Buy a robosander. 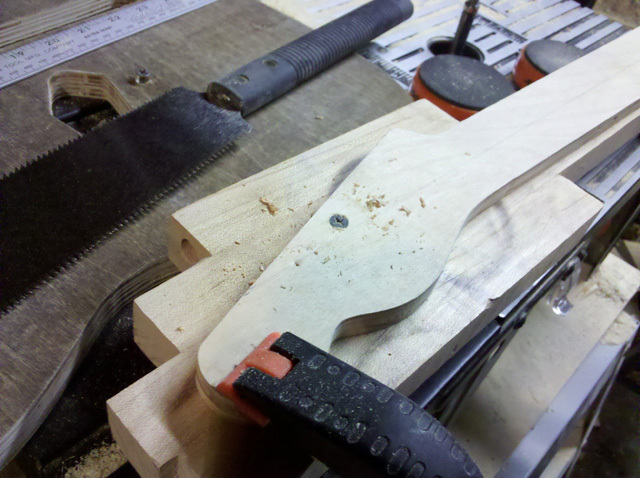 Since the main part of the neck is two pieces turned 90 degrees to make it quarter sawn the grain at the heel is pretty neat looking but I haven’t gotten a picture of that just yet. 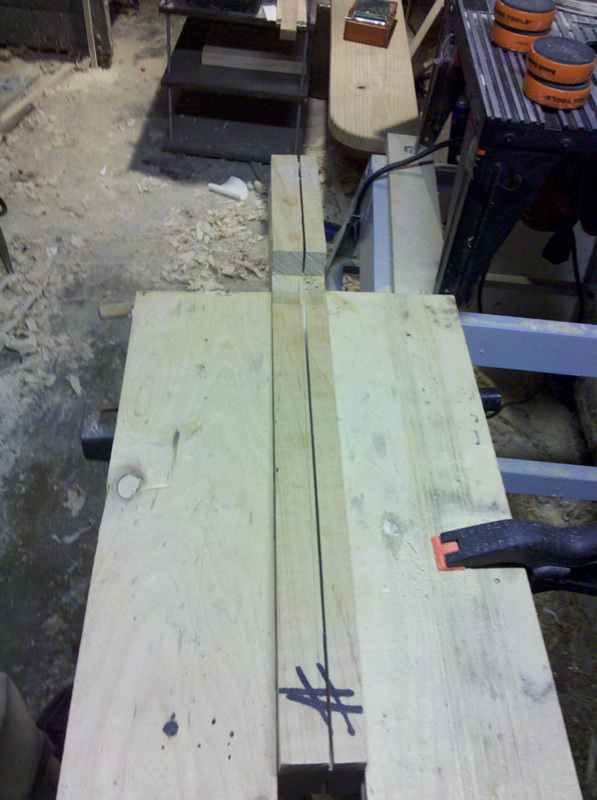 This entry was posted in Couchcaster, telecaster and tagged tdpri telecaster. Bookmark the permalink.